There are some moments that my Asian belly just craves soup. I just came back from a retreat in Malaysia, where the hotel was wonderful and the buffet meals were crazy good. Those of us in the committee agreed that the hotel was the best we had ever stayed in for all the years we have been running the Women’s Breakthrough Weekend. But like most Malaysian restaurants, I could taste that the soups had MSG added. MSG gives me a roaring thirst and headaches after the meal and I’ve always avoided it like a plague. MSG is a big impediment to eating out for me and that may have explained why soup was on my mind, coming back from the retreat. 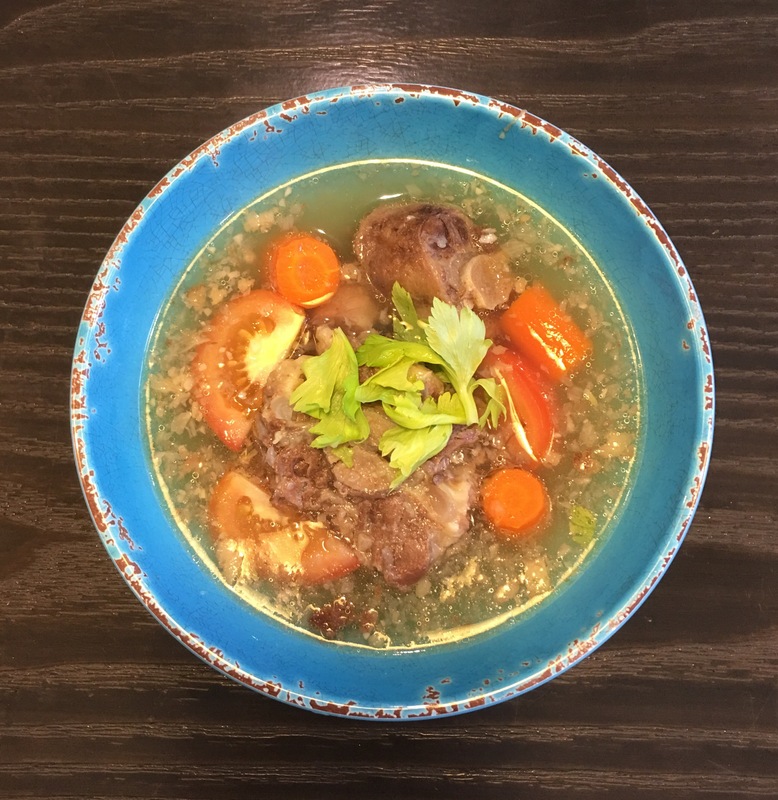 Sup Buntut or Indonesian Oxtail Soup is a great Asian soup that is relatively low-carb friendly. However, like most Asian foods, there is a play on sweet and salty flavours and therefore to make it low carb, sugar substitute had to be used. The potatoes were also omitted in this recipe and in my humble opinion, were not missed at all. I also cut back the amount of onion used in this recipe which sometimes spikes my sugar levels. Since getting the Instant Pot I have always made sure that I have some kind of frozen meat like beef cubes, beef cheeks, oxtail or pork belly stashed away. One never knows when there is a sudden need to feed hungry kids or friends who land in our place. I was really pleased at the results. Hubs said it was the best thing that happened to him that day…and kid#2 who was nursing a cold, said that she loved me (again)! Clean the oxtails and place in the pot. Add about 4-5 cups of water. Close the pot and put the valve in the sealed position. Put on manual high pressure for 50 minutes. Allow normal pressure release. Skim off the layer of oil. Drain the oxtails and stock. Clean the inner pot and put on sauté mode. Heat up 2 tbsp oil and sauté the spice paste ingredients, cloves and cinnamon for 5 minutes until fragrant and slightly caramelized. Add the oxtails and stock back into the pot. Add the fish sauce, carrots, salt, sugar substitute and pepper. Close the pot again and seal the valve. Do a manual high pressure cook for 10 minutes. When done, do a quick pressure release. Skim off any remaining oil or scum. Add the fresh tomato pieces and stir through. Ladle into bowls and garnish with shallots and coriander leaves. Serve with a side of cut fresh red chillis.